If you are bothered by a small chin, weak jaw, or lack of facial contour, plastic surgery with facial implants may benefit you. Strong cheekbones are a common beauty ideal in many cultures. But even people who were born with high cheekbones may notice a deflated, sunken look as aging occurs. Facial implants are sculpted pieces of silicone or other substances that are placed in the chin cheeks or jaw to enhance the contour of the face. They may be used to help strengthen a jaw line or to balance the chin or cheekbones with the rest of the face. WHO IS GOOD CANDIDATE FOR FACIAL IMPLANTS? Candidates must be in good health, have no active diseases or serious, pre-existing medical conditions, and must have realistic expectations of the outcome of the surgery. Dr. Aguilar will frequently use facial implants to balance the features of a younger patient, or in conjunction with another cosmetic procedure in a more mature patient. An implant placed over the cheekbones may help restore a more youthful appearance in some patients. Implants may also fill out a face that appears “sunken” or tired. 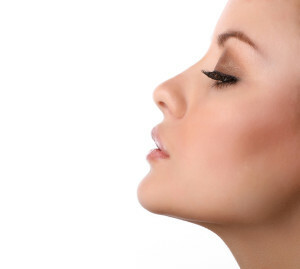 Jaw implants can help strengthen the jaw line, improving the proportions of the face. NOTE: You may not be a candidate for surgery if you smoke, have recently quit smoking, or if you are exposed to second-hand smoke. Primary and secondary smoking decreases blood flow to the body’s tissues. This can result in prolonged would healing, skin loss, infection, increased scarring, and a number of other complications depending on the kind of procedure performed. There are number of implants available. Implants may be manufactured from a variety of material, including silicone and other substances. There is no available evidence to suspect that silicone implants cause disease. Dr. Aguilar will consult with you and discuss recommendations for the type of implant to use. During cheek implant surgery, an incision is made inside the mouth along the lower eyelid, creating a pocket into which the implant is inserted. If another cosmetic procedure is being preformed at the same time, such as facelift or eyelid surgery, the implants may be inserted through those incisions. A chin implant procedure inserts the implant into a pocket from the jawbone. An incision is made either inside the mouth along the lower lip or just below the chin area. During a jaw implant procedure, incisions for the implant are made on either side of the lower lip. that explains everything you should do and know before your surgery date. Also consider the finances for a procedure like this as facial implants and chin surgery procedures are not usually covered by health insurance unless they are being completed for reconstructive purposes. Prepare your guest or caregiver as the procedure usually takes about 1-2 hours and you will need someone to drive you home and care for you 24 hours after the surgery. You will be provided information about how to care for yourself after your surgery at the time you schedule your surgery. Dr. Aguilar will also discuss this with you during your consultation. Some people swell more than others which means that recovery depends and varies with individual patients. In addition, the ability to smile and pucker will be slightly different for the first week to ten days. Usually, patients return to work 1-2 week post-operation.